TAMPA BAY, Fla., Oct 15, 2018 (SEND2PRESS NEWSWIRE) — Current Builders (currentbuilders.com), an award-winning general contractor based in Pompano Beach, today announced the opening of a new office in the Tampa Bay area. 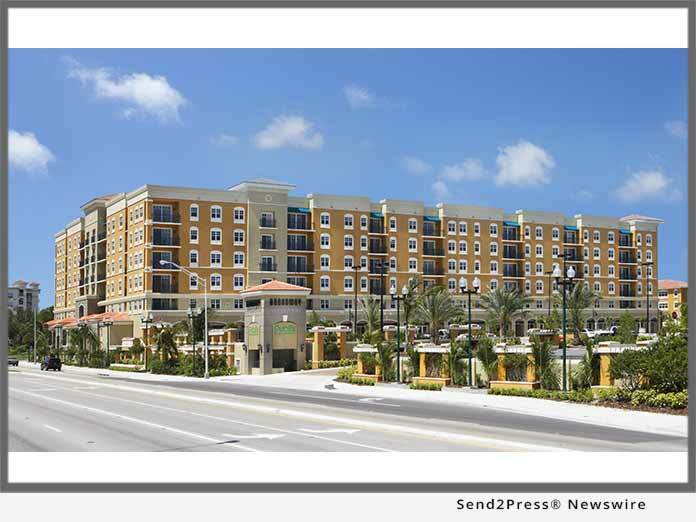 The 46-year old company is expanding to meet the demands of their developer partners and to tap into the construction boom along Florida’s Gulf Coast. Chip and Teresa Angenendt will be overseeing the expansion and connecting with local developers about Current Builders’ offerings, including the benefits of the firm’s self-performing concrete structures division. From senior living to student living, village halls and community centers to luxury auto vaults, Current Builders’ project portfolio features all building types with 85% of projects commissioned by existing clients. During the past five decades, our firm has garnered a stellar reputation while building over 45,000 multi-family units, 15 million square feet of office/industrial space and over 250,000 square feet of retail. On Florida’s Gulf Coast from Naples to Tampa, during the past two decades, Current Builders has built over 4,000 multifamily residential units exceeding $267 million in construction volume including market rate and affordable rental communities, condominiums and assisted living facilities. Some of the firm’s local project credits include Bay Club I and II, Broadway Promenade, Bay Point, Heron Cove, Aston Gardens ALF and two phases of the Carlisle at Naples, to name a few. Part of the firm’s expansion strategy is to meet with west coast developers to share the building options and advanced tech capabilities that Current Builders brings to the market. CB Structures service/building systems include: tunnel form, conventional forming systems supported by reinforced masonry, post-tensioned slabs supported by flying forms, tilt-up construction and precast joist assemblies. Current Builders is an award-winning general contractor, established in 1972 with average annual revenues of $150 million. Current Builders specializes in multi-family residential projects, healthcare facilities, office/warehouse buildings, commercial distribution facilities, parking garages, interior build-outs, interior and exterior renovations, all included as turnkey projects inclusive of the construction of the buildings and related site work.